Dharmakaya cannot be revealed by being caught up in thinking. “All movement of thought is the play of original wakefulness". ...it would then seem that I have ... just a few ... mistakes to correct. That is a nice explanation, thanks Punya. This phrasing could give the impression that a gap between thoughts is some kind of prerequisite for recognizing dharmakaya. If you were searching for the sky, you could wait for the clouds to pass, or for a gap between two clouds to open up. But are the clouds something other than the sky? And does the sky have to appear clear and blue in order for it to be the sky, or is it still the sky regardless of the weather and lighting conditions at a given moment? Does dharmakaya disappear when there are thoughts and reappear when they are absent? Where did those thoughts come from? Where do they arise? What are they made of? The gap between thoughts is just stillness [gnas pa], thoughts are movement [gyu ba], and the knower is a relative cognition. It is called "rig pa" in that model but it is merely a relative and afflicted cognitive capacity. Rig pa just means to know, or "knower" in that context, but the knower is vijñāna or dualistic consciousness. It is not the definitive species of rig pa spoken of in these traditions, at least not yet. Merged threads on the same subject. Son of a good family, meaning of the dharmakāya of the tathāgatas is the absence of intrinsic nature, like space. By what reasoning can it be shown that sentient beings have Buddhanature? Because all sentient beings are pervaded by the emptiness of dharmakāya... 'all sentient beings are pervaded by the emptiness of dharmakāya' means that the ultimate Buddhahood is dharmakāya, dharmakāya is all-pervading emptiness, and emptiness pervades all sentient beings. In that respect, the dharmakāya of the tathāgatagarbha is definitely released from the sheath of afflictions. Bhagavān, the so called 'tathāgatagarbha' is tathāgata's wisdom of emptiness that cannot be seen by śravakas and pratyekabuddhas. Emptiness is the Buddha's dharmakāya, just as the dharmakāya is emptiness. People's usual understanding is that the dharmakāya pervades emptiness, and that it is contained in emptiness. However, this is erroneous, for we should understand that the dharmakāya is emptiness and that emptiness is the dharmakāya. If one thinks that emptiness is an entity and that this emptiness is separate from the dharmakāya or that there is a dharmakāya outside of emptiness, one is holding a wrong view. In the complete absence of views about emptiness, the true dharmakāya appears. Emptiness and dharmakāya are not different. The most important thing is your empty, cognizant mind. Its natural emptiness is dharmakāya, also called empty essence. Whoever seeks the dharmatā of phenomena, seeks emptiness. Whoever seeks emptiness, cannot be debated by anyone. Whoever cannot be debated by anyone, abides in the Dharma of a śramaṇa. However abides in the Dharma of a śramaṇa, they do not abide anywhere; whoever does not abide anywhere, they are uncontaminated with regard to objects. Whoever is uncontaminated with regard to objects, they are without faults. Whoever is without faults, they are the dharmakāya; whoever is the dharmakāya, they are a Tathāgata; whoever is the Tathāgata, they is said to be nondual; whoever is nondual, they do not abandon samsara and do not accomplish nirvana; in other words, they are shown to be totally free of all concepts. Bhagavan, this is the Dharmasaṃgīti. The concluding practice is the conviction that the ordinary mind that was from the beginning the unity of clarity and emptiness is itself the naturally arising three kayas - its emptiness is dharmakāya. The great state of dharmakāya is space-like emptiness. The expression arising out of the state of primordial purity is a spontaneous presence which includes the two form kayas - saṃbhogakāya and nirmāṇakāya. ... What that means is our essence, which is a primordially pure emptiness, is dharmakāya. The body of wisdom is adorned with thirty-two major marks and eighty minor marks, and is the saṃbhogakāya. The nature of that existing as emptiness is the dharmakāya. This meaningful supreme wisdom kāya, ultimate, natureless [rang bzhin med], the state of the nonarising dharmakāya, the lamp of the teachings, the great light of the dharmakāya manifests to persons who are in accord with the meaning. As to the three bodies [kāyas], the pure dharmakāya is your nature, the perfect and complete saṃbhogakāya is your wisdom, and the thousand billion nirmāṇakāyas are your practices (i.e., saṃskāra, “mental activities”). To speak of the three bodies apart from the fundamental nature is called ‘having the bodies but being without wisdom.’ If you are enlightened to [the fact that] the three bodies have no self-natures [svabhāva], then you will understand the bodhi of the four wisdoms. Svabhāva is by definition the subject of contradictory ascriptions. If it exists, it must belong to an existent entity, which means that it must be conditioned, dependent on other entities, and possessed of causes. But a svabhāva is by definition unconditioned, not dependent on other entities, and not caused. Thus the existence of a svabhāva is impossible. Empty in essence, expansive like space and free from the limits of conceptual elaboration, is the dharmakāya. The essence of the dharmakāya is empty. If it is asked what is difference between this dharmakāya and the paramātma [bdag pa dam pa] (synonymous with Brahman) asserted in such ways as nonconceptual, permanent and unchanging, that [paramātma] they explain as subtle because it possesses the quality of subtly, is explained as gross because it possesses the quality of grossness, as unique because it possess the quality of uniqueness and as pervading near and far because it goes everywhere. The dharmakāya on the other hand is neither subtle nor gross, is not unique, is not near and is not far because it is not a possessor of said qualities and because it does not exist in a place. Thus we see that the misconception that dharmakāya is an entity-like "possessor" of the qualities it entails is a mistaken view. The Buddha is the dharmakāya. Since the dharmakāya is emptiness, because there are not only no imputable personal entities in emptiness, there are also no imputable phenomenal entities, there are therefore no entities at all. For 'not one, not many...' and so on, one and many means one and many i.e., both are nondual. Many means plural. Conventionally speaking 'I prostate' to that which is the dharmakāya, neither one nor many. If it is asked 'For what reason do we say though it is not one, it is also not many?' Due to that, since it is said 'non-arisen from the beginning', that which never arose from the beginning cannot have a phase of being one or many; like space, its nature is completely uninterrupted. Since all phenomena arise in the same way, therefore, what arises where? That which becomes a form of diversity is not seen by anyone, i.e. just as grains of rice arise from rice seed, likewise, whatever arises from emptiness is not permanent nor annihilated. Why? Free of all concepts, the victors see that to be empty and illusory. Since there is no cause for buddhahood in the beginning, in the end it cannot be created through a condition. Emptiness possesses a core of wisdom. Wisdom is merged into emptiness: uniform in taste, unchanging and permanent. 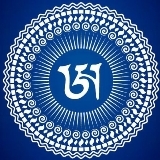 The kāya of pristine consciousness [jñāna] is the dharmakāya. Last edited by krodha on Mon Jan 01, 2018 6:41 am, edited 1 time in total. The idea of the Dharma Kaya being a temporo spatial 'source' also ends up being absurd, as there is actually no coming, going, creation, destruction etc., those are just misapprehensions of relative appearances, that have no footing in emptiness. However, if one -does- fall into this notion of really existing chains of causation, one cannot have their shunyata cake and eat it too. Thanks very much, krodha, for this wealth of data. there is gravity and the laws of gravity..the law of gravity is not dharmakaya but the because there can be gravity ,is due to Dharmakaya . All sorts of natural laws go into healing a cut in your skin...those forces that are put in play in order for the process to heal are not Dharmakaya but because we can observe this to happen is due to the Dharmakaya. You've given me something new to think about on Dharmakaya - thanks. yeah well be careful..i'm not exactly enlightened and am only trying to point to something in a very street level term way...if you catch my drift. the thing is Samsara is created due to Karma..karma forms it...Dharmakaya influences it so it turns into The Buddha's Land. Thanks for the cautionary flag...okay, I'll take it with some grains of salt, and I'm still grateful to you for your contributions toward answering my OP. The point of sunyata is nothing can be inherent. if it was there can never be change. and we all know change is evident. Because of this ,the Buddha can use The Buddha's Dharmakaya Body to work , or influence samsara , whose nature in empty of inherent existance. it's easy to look at a bowl or a table or anything so obviously samsaric and see the emptiness. but unless we actually know and understand Tathagatagarbha how then can we see it for what it is said to be ...empty ?? ?of inherency and yet it is all around us in all things??? ?...probably due to Dharmakaya ??? i bet the verdict is out on that one Grigoris..some would say yes and others a most definite no. ahhh so much to know eh ! then of course there is an aspect that even Tathagatagarbha relies on many factors to exist eh. is it one inherent "THING"? or is it too a product of many factors in order to be or not to be...that is the question. In some traditions the terms Tahagatagarbha and Dharmakaya designate the same thing. Would that make the Dharmakaya inherent? why would they designate them the same thing? Also on another note ,are they a thing? keep in mind we are not saying "Nothingness" we are using the word empty to describe the absence of inherency. existence and non existence are empty of inherency . so we can see the true nature of all . so do we use the term to better understand the nature of Dharmakaya and Tathagatagarbha . or because they are not a thing do we ignore the use of Sunyata studies in Their Case ...or do we just ignore the use of sunyata studies because to. sorry for the degeneration of my grammar to..because to...any grade one school yard in English Canada you would hear the use of "because to "often .lol..it works for me.